Quail Point is a 2,000 acre licensed hunting preserve that consists of natural cover on CRP land offering ideal conditions for hunting Bobwhite Quail, Chukar, and Pheasant. Quail Point's opening day this season will be Saturday, October 21, 2017 for all game birds. 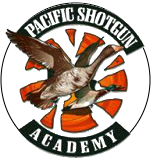 Once again, we are offering day shoots for the occasional hunter as well as a variety of membership packages for those of you who come up and hunt on a regular basis. We will be happy to accommodate any special requests for customized cards that you may have. Membership cards are available all season long. Bird cards expire March 18, 2018 for pheasant, quail & chukar. Please note: no guarantee on bird availability after membership card expiration dates. Bird cards CANNOT be held over or exchanged. Card HOLDER must be present to use card!! No credit for unused birds! NO EXCEPTIONS! 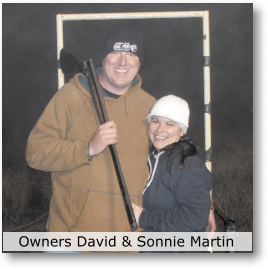 We send out a monthly email with everything going on at Olive Hill Kennels and Quail Point Hunt Club. You can start receiving our email by clicking the link on the right side of this page and inputting your information. You always have the option to remove yourself at any time, and we can assure you that we will never share your information. We still prefer to take reservations as well as answer any questions you may have over the phone at 530-735-6217. You can also text your reservation to us using the same format as a voicemail. As usual, we will be open Wednesday thru Sunday for hunts. Be sure to call or text 530-735-6217 for reservations in advance if you want to hunt on any of these days! We offer breakfast and lunch at QP on Saturdays and Sundays, with breakfast items like, egg sandwiches, breakfast burritos or chicken fried steak with biscuits & gravy or our Lunch menu with items like double bacon cheese burgers with french fries, tri-tip sandwiches & chicken strips. We also have snacks like cookies, peanuts, candy bars and soda offered everyday of the week. We should have something to satisfy your cravings. Take your birds home ready to cook or toss in the freezer, we offer bird cleaning at reasonable prices. We also offer smoked pheasant and chukar. You can purchase a smoked bird or we do trade-outs on smoked birds. If you don’t have a dog of your own, no worries. We offer a variety of hunting dogs that you can rent from us for the day. One dog will accommodate 3-4 Hunters and are good for 3-4 hours, they cost $35 for the day. All of our dogs work off of an electric color and are easy to handle. *REMEMBER - Rental dogs require a reservation in advance because they need to be brought over to the club from our kennel. If you are planning a week or two of vacation this summer, don't forget that your good old bird dog could use a vacation too! We are offering a week's stay - 1st class accommodations - at Olive Hill Kennels Resort and Spa! For $252.00 per week. We will take him out and hunt him over game birds every training day - a real treat for him and a great refresher on his bird work for the upcoming season! Call and make reservations to coincide with your vacation. We will be happy to watch him while you are gone!